Léon Foucault – French physicist. 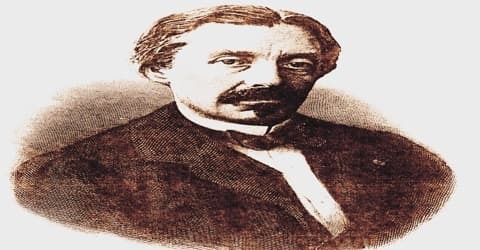 A French physicist whose “Foucault pendulum” provided experimental proof that Earth rotates on its axis, Léon Foucault was born in Paris on 18, September 1819; his father was a publisher and bookseller. He also introduced and helped develop a technique of measuring the absolute speed of light with extreme accuracy. 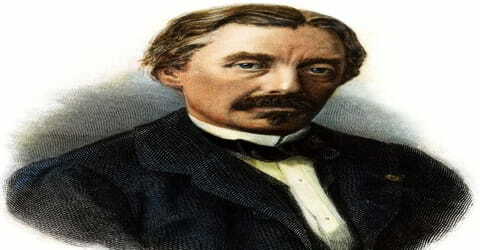 Born in France, Leon Foucault was received most of his education from a private tutor at home. The early demise of his father forced his family to move to Nantes. Suffering from a constant illness he was a fragile kid who lacked self-confidence. A shy Leon was a lazy student but he had a knack with machines. On his mother’s insistence, who realized his sleight of hands, he initially started out studying medicine but eventually went on to pursue physics as he had a phobia of the blood. During his association with his mentor Alfred Donne, he was involved in experiments related to photography. He devised a method of imaging microscopic specimens and designed a powerful source of light for illuminating the objects being pictured through the microscope. Over the years this erudite scientist made several path-breaking discoveries which include the experimental proof that the earth’s rotation causes day and night. Dabbling with electromagnetism, Leon discovered Eddy Currents which are produced by a fluctuating magnetic field inside the conductor. During his relatively short career as a scientist, Foucault made remarkable discoveries and is regarded as one of the most brilliant scientific minds of his era. 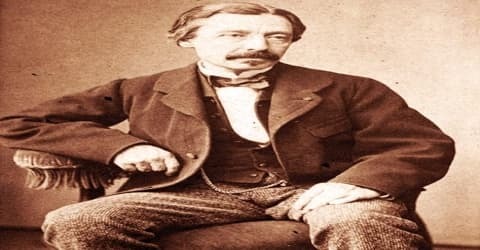 Read on to know more about his life and works. 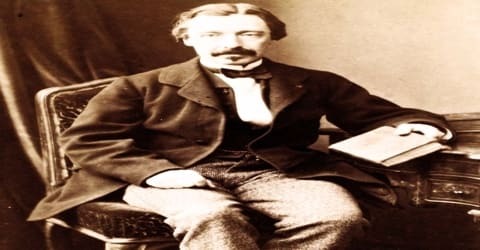 Léon Foucault, also called Jean Foucault, in full Jean-Bernard-Léon Foucault (French: ʒɑ̃ bɛʁnaʁ leɔ̃ fuko), was born on September 18, 1819, in Paris, to Jean Leon Fortune Foucault and his wife. His father was well known in Parisian society for having published a series of books chronicling the rich history of France. During the first years of his life, Lèon was a frail child. He attended the Collège Stanislas where he became friends with fellow student Hippolyte Fizeau. Lèon did not apply himself at college but loved to construct toys and machines. His family thought he would make a good surgeon and Jean went on to study medicine in 1839. However, he developed a blood phobia and dropped medicine in favor of studying physics. Lèon Foucault hadn’t married and had no children. In 1849, Foucault experimentally demonstrated that absorption and emission lines appearing at the same wavelength are both due to the same material, with the difference between the two originating from the temperature of the light source. Foucault conducted plenty of experiments on his own and in the year 1850, he was successful in measuring the speed of light; which was actually only off the mark by 1%. In collaboration with his friend Hippolyte Fizeau, he developed the ‘Fizeau-Foucault apparatus’ in order to measure the speed. In the year 1851, Foucault performed one of his most celebrated experiments in which he showed how the Earth rotated around the sun and he used a pendulum in order to prove that. The pendulum that was used in this case came to be known as the ‘Foucault’s Pendulum’. For this demonstration and a similar one using a gyroscope, Foucault received in 1855 the Copley Medal of the Royal Society of London and was made physical assistant at the Imperial Observatory, Paris. In 1857 Foucault invented the polarizer which bears his name, and in the succeeding year devised a method of testing the mirror of a reflecting telescope to determine its shape. The so-called “Foucault knife-edge test” allows the worker to tell if the mirror is perfectly spherical or has a non-spherical deviation in its figure. Prior to Foucault’s publication of his findings, the testing of reflecting telescope mirrors was a “hit or miss” proposition. With Charles Wheatstone’s revolving mirror he, in 1862, determined the speed of light to be 298,000 km/s – 10,000 km/s less than that obtained by previous experimenters and only 0.6% in error of the currently accepted value. Foucault discovered the existence of eddy currents, or “Foucault currents,” in a copper disk moving in a strong magnetic field, constructed an improved mirror for the reflecting telescope, and in 1859 invented a simple but extremely accurate method of testing telescope mirrors for surface defects. In 1865 Foucault published his papers on a modification of James Watt’s centrifugal governor; he had for some time been experimenting with a view to making its period of revolution constant and developing a new apparatus for regulating the electric light. Foucault showed how, by the deposition of a transparently thin film of silver on the outer side of the object glass of a telescope, the sun could be viewed without injuring the eye. His chief scientific papers are to be found in the Comptes Rendus, 1847-1869. Near his death, he returned to Roman Catholicism that he previously abandoned. In the year 1855, the eminent physicist was awarded the ‘Copley Medal’, which remains the oldest award in the world for scientific achievements. He was bestowed with this honor ‘for his various researches in experimental physics’. Léon Foucault fell ill in 1867 and his symptom quickly worsened. 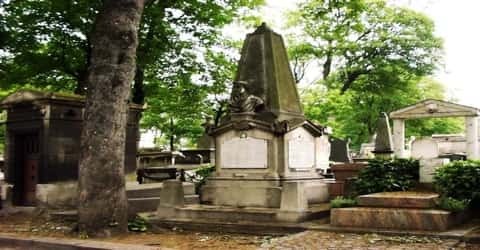 He died on 11 February 1868, aged 48 and was buried inside the Montmartre cemetery in Paris. It was said that the cause of his death was probably due to severe multiple sclerosis. In the year 1855 Foucault discovered the phenomenon which came to be known as ‘Eddy currents’ and the experiment showed the magnetic force required to rotate a copper disc. This knowledge found application in many practical purposes and is often called ‘Foucault’s Currents’. Foucault showed people a way to view the sun without injuring the eye by placing a transparent silver film on the outer corner on the object glass of a telescope. He was such a great man thought that his name is one of 72 that are inscribed on the beams that make up the Eiffel tower and he also has an asteroid named after him, 5668 Foucault. His name has been inscribed on the Eiffel Tower; which is one of the biggest honors in France. Other than Foucault; only 71 other eminent personalities have been able to have their name inscribed on the Eiffel Tower.